Fish Can Make Their Own Sunscreen: What Does This Mean for Human Melanin? Scientists have found that all living organisms form some type of exterior defense system for themselves. Scientists have thought that fish were protected from UV rays because of the algae and bacteria that goes into its system to secrete an oil substance onto their scales. 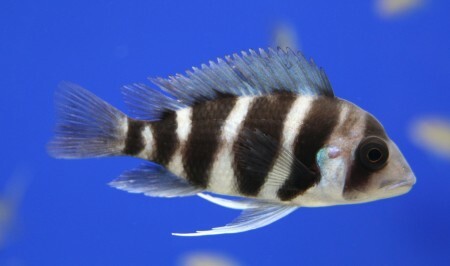 However, a team of researchers at Oregon State University (OSU) stated they have found that zebra fish can produce something called gadusol. This chemical is similar to melanin in humans, insofar as it does the same job. Scientists now hope to further study these findings to possibly make an artificial gene for humans. This study was published on Tuesday in the journal eLife. Lead author of a similar study, Taifo Mahmud, a professor at the OSU College of Pharmacy, stated that humans and mammals are unable to produce this compound. Though, he said it has been found in other species of animals. The genetics for gadusol cross many different animals, from the American alligator to a backyard chicken. The team found that the gene needed to produce gadusol is nearly identical as one found in algae. They said that considering it is a valuable survival gene, it has been passed down through hundreds of millions of years of evolution. The first evidence of an animal making gadusol was found in fish eggs, leading them to believe it has some clear evolutionary value. So what about its similarities with melanin? Mahmud stated that scientists now know that gadusol has UV-blocking properties – sunscreen properties. Though, scientists have yet to discover if the reason why zebra is just for UV-protection or an additional characteristic. In the study they found that it may be that gadusol, which is an antioxidant, that may have other helpful applications. Gadusol is produced in great quantities during the female’s development of embryos. Moreover, Mahmud stated that the same compound made by the fish is different than the process microbes undergo. The study revealed that the protection genes came not from bacteria, but algae. He stated that what could have happened is called a horizontal genetic transfer. This is when a genome sequence jump happens to go from species to species and even across entire organism kingdoms. 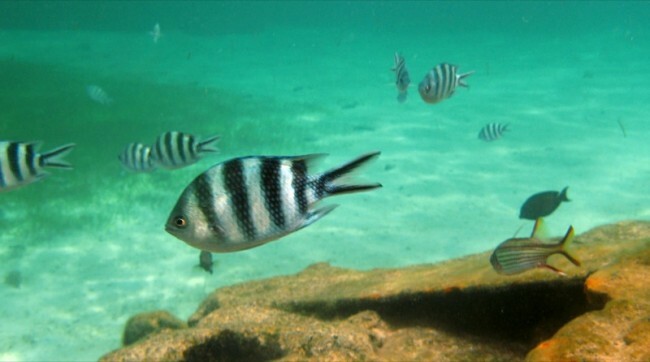 This could also reveal what common ancestor is shared by the zebra fish and algae. Considering horizontal genetic transfers are fairly common in simpler organisms, humans can have it too. Scientists believe that an artificial form of this could by stitched into the human genome. This could protect humans from harmful UV rays. Since the big topics of today’s world involve global warming and climate change, causing the ozone layer to further decay, such a genome sequence change could be well worth it. NPR: Why Would A Fish Make Its Own Sunscreen? HNGN: Fish Make Their Own Sunscreen! What Does This Mean for Those of Us Not Covered in Scales? One Response to "Fish Can Make Their Own Sunscreen: What Does This Mean for Human Melanin?"